Here, at the Dental Suite in Nottingham, we are proud to offer a number of facial rejuvenation treatments that are designed to enhance the skins appearance and reduce wrinkles. What Are Facial Rejuvenation Treatments? Facial rejuvenation treatments currently consist of line smoothing injections, dermal fillers, dermaroller and chemical peels. Each procedure is carried out to ensure you gain a more youthful and even complexion. Why Have Them At The Dental Suite? 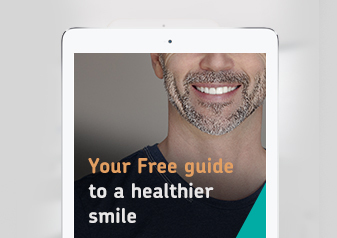 Here at the Dental Suite, we are currently offering a free consultation, which is usually worth £50. Furthermore, our practice consists of a highly skilled team, who have carried out a large number of procedures. Our team set themselves extremely high standards ensuring that they work with skill and precision. We have studied the facial anatomy and have years of experience in dealing with all manner of patients. This means that we can give you exactly what you want. So, How Do The Line Smoothening Treatments Work? Line smoothening injections are ideal for treating patients with wrinkles and can reduce the appearance of already existing lines for example. They work by being injected directly into the problem areas using a chemical solution. This solution consists of a toxin which is produced by clostridium botulinum. And What Exactly Can They Treat? The usage of the clostridium botulinum toxin is only a temporary method and usually lasts for around 3-4 months. The patient usually returns after that period for another treatment session. Dermal fillers are designed to ‘fill out’ the appearance of wrinkles and lines. Not only that, they’re great for creating fuller lips and cheeks for example. The fillers contain hyaluronic acid, which is a natural substance already found within the body. This substance is commonly found in the eye and the joints and acts as a lubricant in the areas. Studies suggest that the loss of hyaluronic acid found within the body promotes wrinkles because of the lack of hydration to the skin. How Many Dermal Fillers Are Available? Here at the Dental Suite, we currently have 4 varieties of dermal filler, including Restylane, Teosyal, Juvederm and Radiesse. These are the best that are currently available on the cosmetic market and you will be provided with whichever is more suited to your needs. Liquid fillers – designed to provide our patients with added skin hydration. Thin fillers – plumps up thinning areas on the face. Thick fillers – reduces the appearance of deep folds and creases. Radiesse – designed to stimulate collagen production, which produces a natural firmness to the skin. Belotero – designed to give extra volume to the lips and cheeks in particular. How Long Are They Designed To Last For? Dermal fillers usually last for around 6-12 months, patients usually return after this period for more treatments. They are also the least likely to cause any allergic reactions. Dermaroller is a small hand-held device, used to reduce the appearance of scars, wrinkles and cellulite. We use it here at the Dental Suite because of its precision and lasting effects. A topical anaesthetic is issued to our patients to maximise comfort. The Dermaroller contains thousands of micro needles, which are used on the skin. The needles are designed in a way that stimulates the production of collagen and elastin. Collagen and elastin are naturally occurring products found within the body that retain the skins elasticity, keeping it looking firm and full. The pores are opened by the micro needles, without damaging them at all. This triggers the healing process of the skin, ensuring the production of collagen and elastin. The pores are left open for around an hour, in which a variety of creams and lotions are inserted and properly retained before closing once more. A chemical peel is a popular non-surgical skin treatment, designed to treat the lower layers of skin in particular. Here at the Dental Suite, we offer are patients a medium chemical peel which is great for improving the overall appearance of the skin. Simply put, the medium chemical peel is comprised of a TCA solution that is directly applied to the skin. The peel then penetrates the skin removing the damaged layers. Are There Different Types Available? Yes, there are two types of chemical peel that we offer, including the Glycolic Peel and the Innovation Concept Peel (ICP), here at the Dental Suite. This peel works to penetrate the upper layers of skin, replacing it with moisture and a newly exfoliated surface. It is ideal for treating patients with acne, wrinkles and thick layers of hard/crust-like skin. This particular type of peel is especially great at treating our patients with skin pigmentation issues. Sun damage, age spots and hyperpigmentation are common issues and are usually treated with this type of peel. Here at the Dental Suite in Nottingham, we offer our patients a number of facial rejuvenation treatments. Our team are on hand to provide each of our patients with bespoke treatments and can guarantee that they’ll leave our practice looking ten years younger! For more information about the treatments we have to offer please book a consultation to speak to our experts.